Obituary for Theresa M. Fakete | Devlin-Rosmos-Kepp F.H. 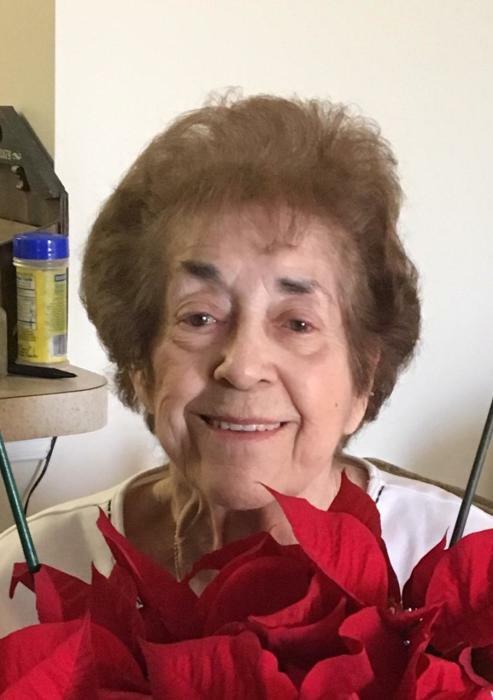 & C. S.
Theresa M. Fakete, 87, wife of the late Andrew Fakete of Phoenixville, passed away on Thursday, February 7, 2019 in the Phoenixville Hospital. She was born on June 25, 1931 in Phoenixville to the late Michael J. Popois, Mary Alice (O'Toole)(Popois) Link and George H. Link. She worked as a nurse's aide at the former Pennhurst State School where she held the Office of president for Local 1147. She finished her career at the Norristown State Hospital. After Theresa retired she worked privately as a home health aide. Theresa was a very active member of Holy Ghost Orthodox Church where she held the Office of president of the Altar Society for over 20 years and was happy to be one of the cooking and baking ladies. She is survived by a daughter, Sandra Mattingly wife of Ruth Coburn; son, Patrick Mattingly and wife Melodie; step-daughter, Andrea wife of Chuck Brown; step-son, Drew husband of the late Donna Fakete. Theresa was preceded in death by her son, Paul Mattingly and sisters Margaret Kraft and Mary Alice Kronmuller. Relatives and friends are invited to attend her Funeral Service in Holy Ghost Orthodox Church, Starr and Bridge Streets, Phoenixville, PA on Tuesday, February 12, 2019 at 11:00 am with Very Rev. Peter Paproski officiating. Burial will follow in Morris Cemetery. A viewing will be held in the church on Tuesday from 10:00 to 11:00 am. In lieu of flowers, contributions may be sent to Holy Ghost Orthodox Church, PO Box 66, Phoenixville, PA 19460.